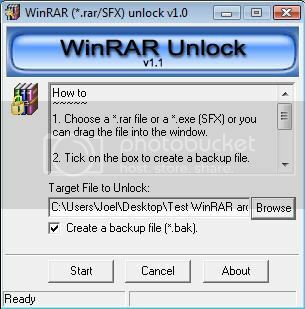 There’s a small utility known as ‘WinRAR Unlock’ which allows you to unlock such archives. All you need to do is just download it and launch it, you don’t require any installation. 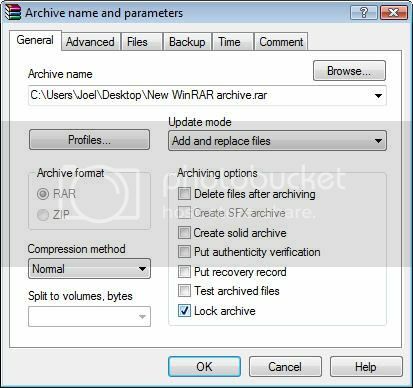 To unlock an archive start the program and browse the file which is locked. Click ‘start’ to unlock it. If you check the box create backup then it will create a backup in the same directory which can be used if the unlocked fie doesn’t work. So to test the program I created a .rar file in WinRrar and locked its contents. Later, I used this program to unlock it and it worked perfectly without any problems. Check out the unlocked version below, the add and delete option has appeared again. You can now modify the archive according to your needs.